The 179-hp four-cylinder is standard on the Altima and delivers an EPA-estimated 38 highway and 27 city mpg on the Altima 2.5S, 2.5SV, and 2.5SL. Upgrading to the V6 brings new power – 270 hp to be exact – while remaining one of the most efficient V6's in its class at 32 highway and 22 city mpg. This advanced transmission is technically gearless, using pulleys to optimize your gear ratio and fuel economy for a given drive. You don't need an engine to perform the same in stop-and-go traffic as on the highway, and the Altima knows it. Choose "Drive" for everyday driving and "S" for a sportier shifting feel. One of the easiest ways to see how impressive the 2018 Nissan Altima mpg ratings are is to compare them to this popular sedan’s East St. Louis competitors. So here we go. And if you were eyeing the Honda Accord for its fuel economy? The Altima ties it at 38 highway mpg – and drivers looking for more power will find the Altima still has a V6 available while the Accord only has 2 four-cylinder engines to choose from. Not only is do the 2018 Nissan Altima mpg specs paint this as the responsible choice, it also offers some of the latest in safety features and gives drivers modern, luxurious interior amenities. 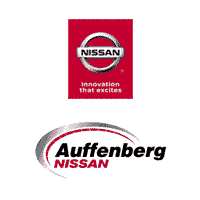 Find yours today at Auffenberg Nissan in O'Fallon. Want to know more, compare the Altima mpg to the Nissan Maxima mpg.